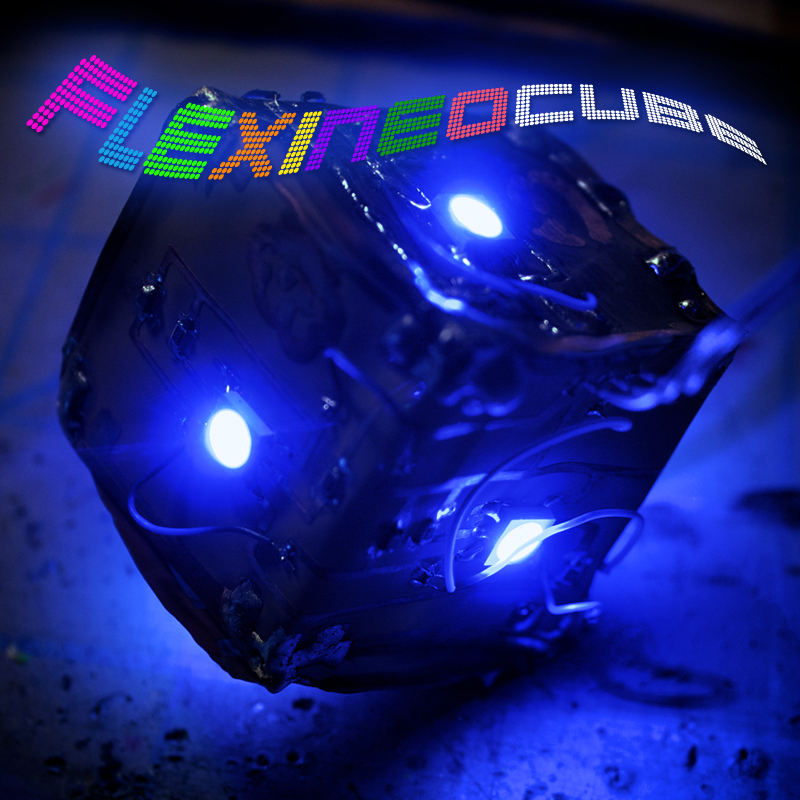 Flexineocube consists of two flexible boards. Each board has 3 addressable RGB LEDs on them (like the Adafruit Neopixels). You can fold the boards together to form a cube. The material is very lightweight, so you can hang it from somewhere and have it wave in the wind! You can get one now on the RoboBrrd Store! This entry was posted in News, Store and tagged flex pcb, flexible, flexineocube, neopixels, product, store. Bookmark the permalink.